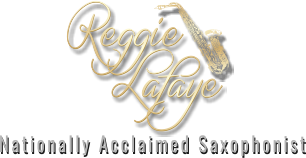 Reggie has performed professionally for over forty years with stars such as Loretta Lynn, Lee Greenwood, The Mandrells, Pat Boone, Little Richard, Reba McIntyre, Conway Twitty, Roy Rogers and many others. We had a blessed time - and God used you specifically to bless many in our church. I have heard many comments since. It is amazing how God works. The one couple I would have expected to be dissatisfied (since they are with most everything), greatly enjoyed and were blessed, as was everyone else. I hope sometime in the future, our Lord will work out a time where you can do a full concert for us. It was a blessing to meet you and your dear wife, and fellowship with you, but more importantly to worship with you! "That's some mighty fine sax work!" "I have never seen anyone move a crowd like you did! Your many gifts touched us and this whole arena." "My friend, you blew the roof off of Del City! That was great!" "You can open for me anytime!" "You were fantastic, would you be interested in joining my organization?" "Reg, what a joy to have you at Tabernacle Baptist Church. My people really expressed how wonderful the service was. We want you to return in 2007 if you can work us in your schedule." "You really blessed us. The anointing is profoundly and powerfully in you. When I had you in my church 25 years ago you were remarkable then. You have only gotten better over the years. I love you Brother." Pastor Heartland Worship Center: "I feel the anointing when you play! You are superb and have so many wonderful gifts. Thank you for being a part of our ministry and Heartland Worship Center, you are great! God is really going to use you." If you have a testimonial about Reggie that you would like to share, please use our Contact Form.